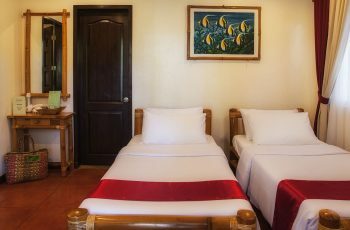 The Hammerhead family room features two twin beds which can be arranged into two matrimonial beds. 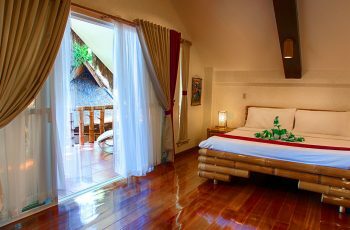 Outside you can relax and enjoy a glass of wine at the large veranda with a view of the garden. 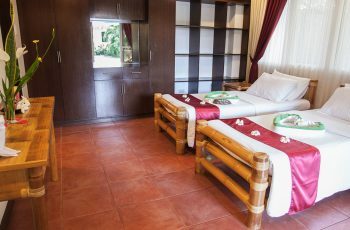 The room is equipped with quiet split-type air-conditioning, mini-bar refrigerator, in-room safe, hot & cold shower and indoor bar with bar stools whereas the veranda is furnished with comfortable sofas, chairs, and tables.